We all know that young kids LOVE themselves. That’s why name activities are such a motivating way to introduce letters and sounds to kids. These crayon name puzzles are a fun way to help your kids learn to spell their names, learn to recognize their names and learn alphabet knowledge. Two Different Puzzle Styles: Two styles of puzzles are included in the resource. One has black letters that look amazing when printed on brightly colored paper. The second style has outlined letters so that kids can color them with crayons. 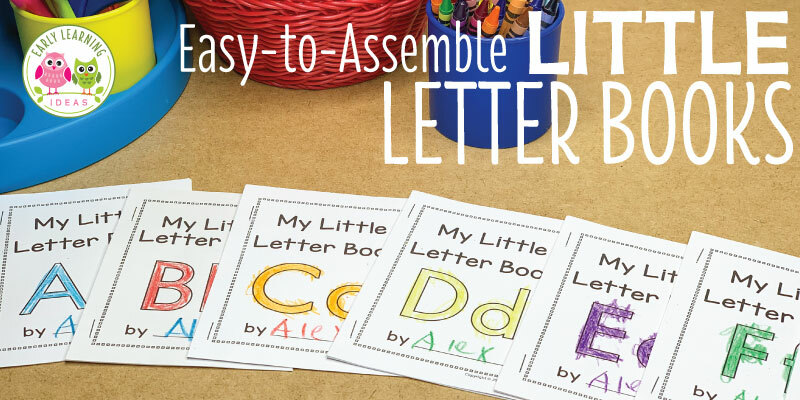 Easy-to-Use Class List Form: You can make crayon name puzzles for kids with 2-12 letters in their name. You will need to use the most recent version Adobe Acrobat Reader to add your kids’ name to my document. 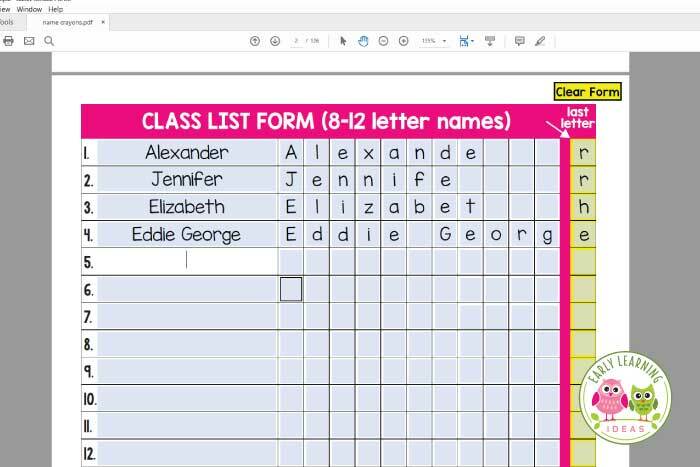 To customize your puzzles you just need to enter your kids’ names into the document’s class list form. Their names will be automatically added to the puzzles. Print Planner Page: Consult the print planner page to quickly determine which pages to print. Labels: When you print and cut the puzzles, you don’t want all of the pieces to get all mixed-up. Store individual puzzles in envelopes, plastic bags, or all those little plastic containers you have been hoarding. The resource also includes labels that you can attach to your choice of storage. Alphabet Knowledge: As kids work on their puzzles you can ask them questions about the letters. What do you notice about the shape of the letters? Are there any duplicate letters? What sounds do you hear when I say the name? Letter Formation: They can practice letter formation by finger tracing each letter as they complete a puzzle. Syllable Recognition: You can work on syllables by asking them to clap their name. Complete a Friend’s Puzzle: In addition to working on spelling their own names, kids will enjoy putting their friends’ puzzles together. Does the friend have some of the same letters in his/her name as you have in yours? Fine motor/scissor skills practice– Let kids cut out own puzzles. 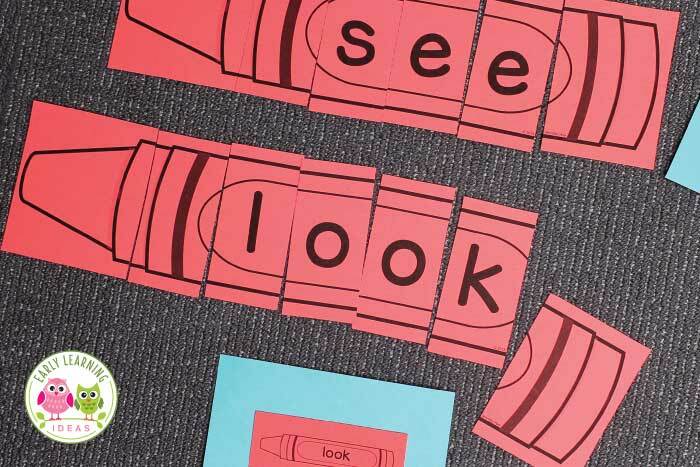 Glue them down– Kids can glue their pieces onto long strips of paper or sentence strips. 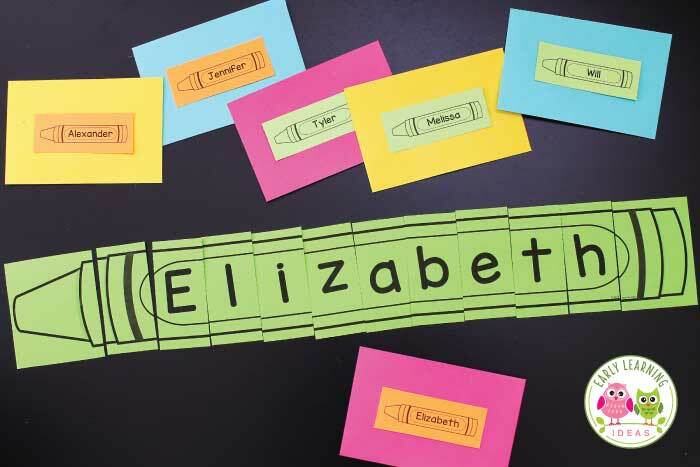 Bulletin boards – Use these strips to create a name bulletin board. 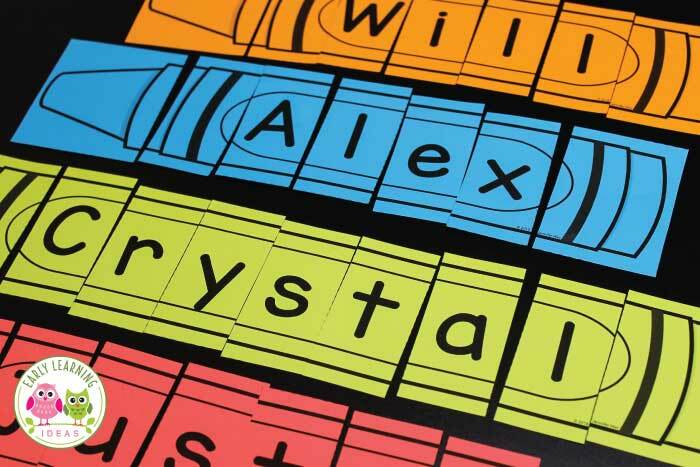 Color puzzles – Instead of names print puzzles with the names of colors. Word puzzles – Use the document to CVC word puzzles or sight word/hight interest word puzzles. Do you want to make crayon name puzzles for your kids? 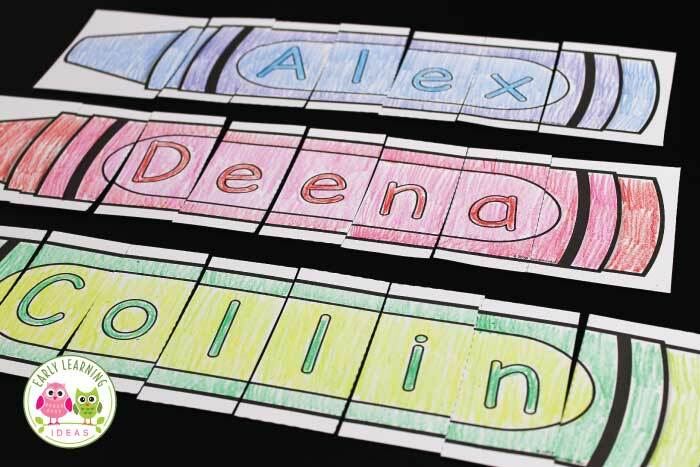 You can purchase the Editable Crayon Name Puzzles in my store.